The start of a New Year brings personal resolutions. This tradition stems back as far as 1894 BC when the ancient Babylonians promised their gods at the start of each year they would pay outstanding debts and return borrowed objects. I don’t know how many people will be making vows to their respective Gods in 2015 but I imagine there will be the usual plethora of New Year Resolutions. Go to the gym, minimise alcohol intake, start a diet or perhaps adopt a new hobby. All respectable endeavours born from good intentions but how many are realistic and more importantly how many are sustainable? 2014 was a busy year for me. My family and I said goodbye to my Gran in January. March brought a highlight when the Funny Boy and I welcomed a new nephew and niece into the world. April marked the end of life as we knew it when cancer arrived. May brought an engagement which was swiftly followed by June and the Queen’s Baton relay. In July the Funny Boy and I adopted Parsnip, a charismatic miniature dachshund, who has brought an endless supply of joy. In August we celebrated being in remission which was short lived once I found myself dealing with the emotional aftermath of everything I have been through. I have spent the remaining months adapting to a new normality. It has been tough but 2014 is a year where I have grown and not just in my waistband. Previously I would set myself personal challenges at the start of a New Year. For example run a marathon or get a new job. I feel that 2014 has initiated so many changes that my main challenge will be to embrace these and start looking forward. Cliche as it may be, cancer has reminded me how fragile life is. Hearing a potential prognosis of two years does make you evaluate your life. I have largely questioned the motivations behind the things I do now and I often ask myself ‘am I doing this because I should or because I want to?’. In light of this 2015 will mark the start of Project 30: 30 things to do before I turn 30. With the help of my family and friends I have collated a list of tasks to achieve, experiences to enjoy and memories to make by 30th July 2016. Through work and personal circumstances I have learnt that in order for any goal to be successful they have to be SMART. I have adopted this approach when constructing Project 30. I believe New Year Resolutions would be far more achievable if people considered the SMART approach too. You only need to compare your local gym car park between the start of January and March to know that not all New Year Resolutions are sustainable. 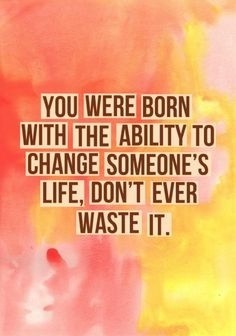 How about instead of making promises to ourselves we can’t keep, we opt for doing one good thing to help others? And what if something could be done in a matter of minutes from the comfort of your own home? Whilst undergoing treatment I came close to relying on a blood transfusion on more than one occasion. Luckily this never transpired however it did leave me with a renewed appreciation for blood donors. Prior to diagnosis I donated blood about once a year. In hindsight I wish I had done this more frequently. For the inconvenience of a little prick and approximately 30 minutes of your time, this small act has the potential of saving someone’s life. And if you are someone who is not eligible to donate blood or you simply don’t like needles then how about you consider becoming an organ donor? A simple two minute task of registering online and having a conversation with your loved ones, could literally be someone’s lifeline. 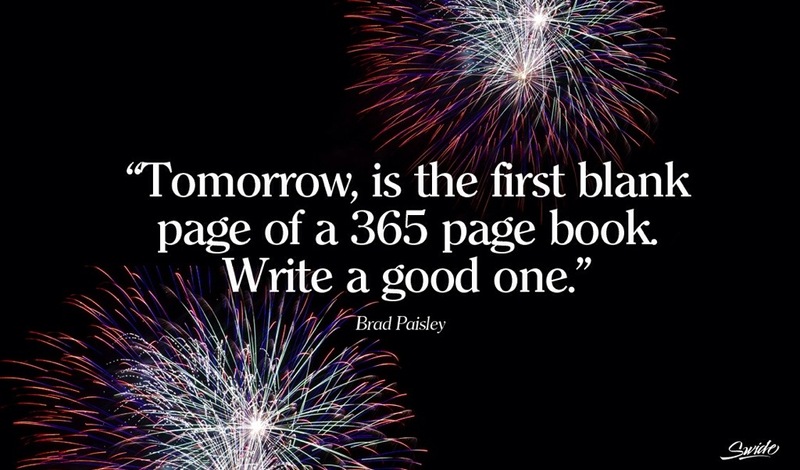 Tomorrow is the first blank page of a 365 page book. Write a good one! As the festive season rolls in and the number of days until Christmas rapidly decline I find myself in disbelief that 2015 is merely days away. It is a feeling shared by many at this time of year: where has the time gone? For me, it has been a year where I feel like I have missed out. I don’t think I appreciated how much of a social creature I was before cancer. Being a member of the hockey club brought regular training and fixtures with my mates and the club socials too. Despite trying to stay involved on the sidelines I found it too difficult. It was frustrating seeing my friends running around without me. Cancer excluded me from my favourite pastime leaving me with empty Saturdays. Even as I return to work I have struggled to reacquaint my body with the working pattern I once did with ease. Every year our team nominates awards based on our areas of work and achievements. For the past two years I was the one who was crowned Most Passionate. I was the one who was at my desk at 8am everyday and out and about most evenings. I was the one whose hours could never be questioned. Now I am the one who is here one minute and gone the next. I missed my final working week in 2014 thanks to a mixture of Noro virus and bacterial tonsillitis. Again, it is so frustrating to be forced to miss out on something you love to do. I find myself feeling envious of my colleagues. Missing the office Christmas party on Friday simply reminds me of the number of other social occasions I have missed; birthdays, leaving do’s, engagements. Cancer makes me feel forgotten about. It is such a horrible disease and even now, 3 months in the clear, I am overwhelmed by how much it still impacts my life. I feel as though it has stolen my lifestyle and with it my confidence. 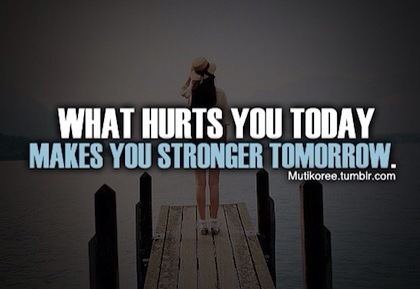 It is almost a day to day struggle where I feel like I am fighting towards my new normality. Friendships, priorities, outlook on life are all different now. For anyone looking in, I think it is fair to say my year has been a challenging one. As much as I hate cancer and what it has done, I am thankful for what it has shown me. It has reminded me that I have a very special family. I always knew that in the family department I was blessed. Growing up my brothers, though irritating, always had my best interests at heart. Thanks to Owain, I now have something I always wanted: someone to call my sister. Angela is like an Iceberg in the making, very strong and kind but with a wicked sense of humour. Angela and Owain have blessed me with life’s greatest gifts, my nephews. Throughout everything they continue to put a smile on my face without fail! As for my parents they are simply the most selfless people I will ever know. There are not enough to words to express my gratitude for my family and cancer simply reminded me how proud and lucky I am to have them in my life. Cancer highlighted I have a fiancé who would literally do anything for me. Not many relationships get tested like ours did within the first few months. I am truly blessed to have him by my side. Although I feel cancer has stolen my confidence and certain aspects of my life I believe this to be temporary. And the reason I believe this is because cancer has highlighted a strength within me that I never knew existed. 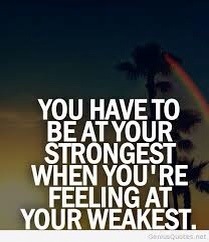 I have overcome one of life’s greatest challenges and I refuse to let it hold me back. Through my strength I will achieve my new normality and I have every hope that it will be better than life before cancer. I move forward in the knowledge there is a possibility of cancer recurring. This does not scare me – this is something outwith my control. It would be like living my life in fear of getting hit by a bus. The greater fear for me is to not live my life the way I want with the people I love. 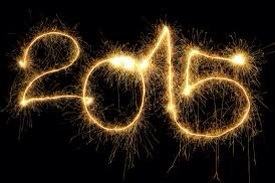 Bring on 2015! This year has been filled with a series of peaks and troughs. If I were to place my emotional scale on a timeline of 2014 it would definitely demonstrate a zig zag pattern. Between losing my gran, the breakdown of a close friendship and the diagnosis of cancer there have been plenty of dips. However the scale has been littered with peaks of joy; the arrival of my second nephew, geting engaged, carrying the baton, even securing a new job! It is confirmed that 2014 has been an abnormal extraordinary year for me! One of the biggest dips I endured was following the news of remission. For anyone who has read my blog from day one, it is evident in my writing that the aftermath of cancer was a lot more difficult to cope with than the treatment itself. I have been very open with the range of emotions it has brought. 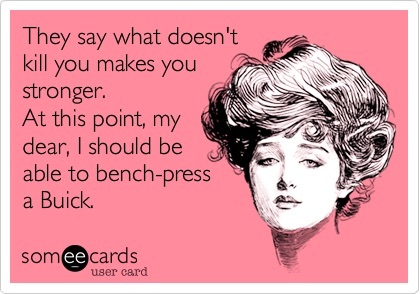 Anger. Grief. Sadness. At one point, I felt on the verge of depression. Life seemed hopeless. However thanks to Maggies, my GP, family and having the confidence to recognise and share my feelings I have been able to address these. This has been an ongoing process but I finally feel like I am beginning to adapt to my new normality. I know that this something that will not happen overnight but I am confident that I am finally going in the right direction. Initially after treatment I found myself getting upset at the prospect of never being able to have children. Now, I find myself imagining how amazing it will be to adopt a child or a ready made family. I can picture the Funny Boy preparing our home, I can visualise my mum and dad introducing themselves as Nanna and Bampi and I get so excited at the prospect of meeting someone or several ones who might call me Mummy. Just as I did before cancer, I am picturing myself making a family with the Funny Boy and that feels good. With a birthday in July, 2015 will be the penultimate year in my twenties. In light of this I am preparing a bucket list of 30 things to do before I turn 30. Getting married and raise money for Maggies and Cancer Research are top of that list but suggestions are welcome! Since returning to work I feel as though my life is gathering momentum once again. On Monday I started my new role as Community Inclusion Officer for Edinburgh Leisure and, although I am entering a new area out with my comfort zone, I welcome the challenges the new role brings. I have rediscovered the passion I have for physical activity and the positive impact it brings. This has brought a renewed thirst for the work I do. So, in terms of my emotional scale where am I now? Well, on Friday I was struck down with the Novo virus and last night I found myself back in hospital struggling to breath due to a painful case of tonsillitis. Despite feeling physically low I am surprisingly optimistic. 2015 is set to be another exceptional year and although I know there will be the inevtiable peaks and troughs I am confident, no, determined it will top 2014. I am on an upward trajectory. Overcome Cancer? Check! Get a new job? Check! Overcome Novo virus? Check! Overcome tonsillitis? Ongoing… but in the grand scheme of things, this is a walk in the park. Although I am not thankful for cancer, I am thankful for what it has taught me. 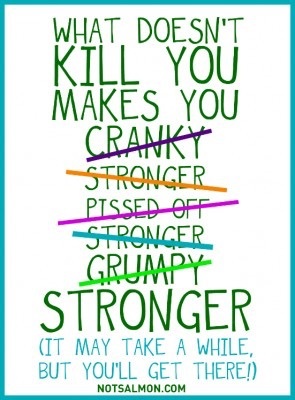 It is true: what doesn’t kill you, makes you stronger!